You Don't Have to Break the Bank for High-Quality Seeds! Seeds for Under 20 Quid available to Buy Online at Rhino Seeds! Need proof that you don't need to spend a fortune to end up with some primo Skunk? Well here it is! Check out these bargain basement cannabis seeds. For less than 20 quid, you can fill your collection with 5-star cannabis seeds that'll thrill you to your very core! Buy Ridiculously Cheap Cannabis Seeds for Under 20 Pounds Today! Big Bag Yields are Massive! Feminised Seeds put their expert minds together & created this genius strain. Big Bag is simply the best in every single way including power, yield & effect. Our commercial growers have kept asking us to produce a feminized strain that will yield and finish FAST. Well that time has come, we're proud to introduce the 60 Day Wonder! It took us a bit longer to get this one released but it was definitely worth the wait!! It’s Williams Wonder! 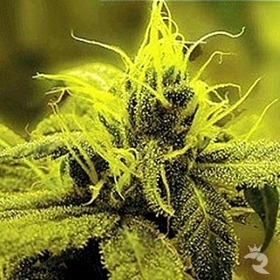 A very special commercial indica that produces fat and resinous flowers and finishes early. It is then crossed to a ruderalis strain, back crossed a couple of times, and now we are ready to release one of the fastest commercially viable strains out on the market. 60 Day Wonder will finish in any light cycle, including 24 hours of light, 60 days from SEED!!! The flowers on this plant look more like the Williams Wonder and it keeps the medicinal values of her as well, but thanks to the ruderalis, we don’t have to wait long for this magical medicine! Great for the beginner grower and perfect for commercial growers who want to crop every 60 days in- or outside from SEED!! A great strain for the windowsill or for the stealthy gardener. Authentic Cheese Taste - 8 Weeks from Seed! In just 8 weeks total, 710 Auto Cheese delivers a medium-high yield made up of big, aromatic buds that are totally encased in a thick layer of frost. These trichomes emit a heavy smell that's just as dank & thick as her photoperiod sisters. Buy your seeds now! Highly Aromatic - Not for Stealth! This long-lasting high will literally take your breath away if you aren't careful. The right care will reward you with delicious dank blooms after an 8 week flowering period! Robust & Frosty - Dank! Sweet Indica with Lovely Colours - Max Bag Appeal! Have a look at this pure Indica from 710 Genetics. These expert breeders have created a very special lady combining Kush and Afghani together for a rocking resin party. Enjoy her sweet taste and intoxicating Indica effects. This spangly Sativa Auto will make your day with a soaring cerebral high and a super quick finishing time. THC measures in at 17% and the taste is a superb mix of savory earth & pungent Skunk. 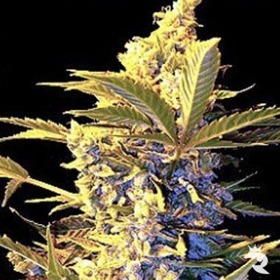 Order your 100% feminized seeds today!